In November of 2014 Diesel Service and Supply finished construction of a new building for our state of the art facility in Brighton, Colorado. This new building is a testimony to our longevity with over 30 years in the highly competitive power generation industry. The new building began construction in early 2014. The facility brings a fully streamlined approach to our operation that allows us to more effectively do business buying and selling generators and to offer the best possible equipment to our customers. 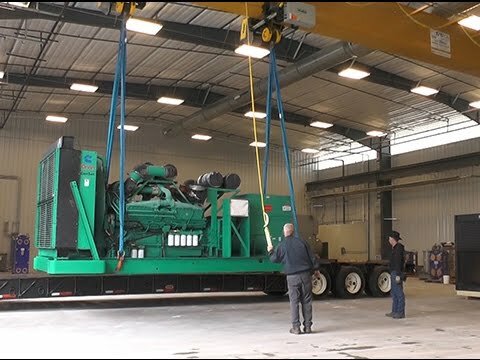 We invite you to come visit our facility to see firsthand what type of operation we have, inspect any on-site generator, and watch a load test of any genset you are interested in purchasing. For out of town visitors, we'll come pick you up from DIA and give you a ride back - most trips from around the U.S. can be done in one day. Call 800-853-2073 now or contact us online to get more details and setup a time to come by.